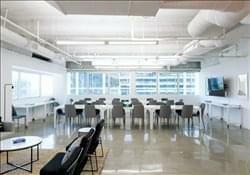 Find My Workspace lists over 95% of the executive office suites market in West Hollywood. Simply click Request Quote to check pricing for one office, or Add to Basket for multiple offices. Hills penthouse is situated on the top penthouse floor of Sunset Boulevard’s most iconic tower, and offers sweeping views of of Los Angeles, combined with is uniquely curated interior design, Hills Penthouse offers a setting unlike any other. Our team of membership managers and assistants, headed by our General Manager William, who boasts a background in luxury boutique hospitality, look after our members on a first name basis and make your experience truly one of a kind. We serve a complimentary breakfast parfait station every morning for our members, as well as provide coffee, tea, and infused water service all throughout the day. Hollywood, West Hollywood - Sunset Blvd. Perched high above Sunset Blvd, at the convenient crossroads of Beverly Hills and West Hollywood, this clean and bright space is the perfect place to bring your team and get some serious work done. After the meeting, you can walk out to celebrate along Sunset. Or, think of it as your own private Soho House (which is directly across the street), and bring clients up to ink their next big deal. With seating for 28 and sweeping views down Sunset, both your team and your clients will feel right at home in the bright lights of the big city. Blending inviting hospitality with stunning views over West Hollywood, members of this premium office space operate in a variety of industries, including; creative agencies, growing start-ups, and professional services firms in real estate, consulting, finance and legal. 24-hour access is available for this location, which offers private offices for teams up to 40, limited coworking space and dedicated desk memberships. Amenities at this center include custom made furniture, coffee and gourmet pastries as well as all utilities such as unlimited printing & copying, conference room hours, mail & package services, WiFi and access to national networking events. To obtain information for your selected West Hollywood Executive Office Suites, please tick the "Add to basket" box for each office you prefer and complete the form below. We will then send a detailed report via email.